What homes can £235,000 buy you in England? The average house price in England in April was £225,000. And according to the latest statistics by The ONS, the average salary for UK adults is £27,600 for full-time working adults. So taking two average adults in the UK and calculating an affordable mortgage based on standard market rates, the upper limit of borrowing potential for an average couple is £235,000. In other words it’s what most couples in England are expected to be able to buy in the current market. So what can a typical couple’s salary buy you in England? 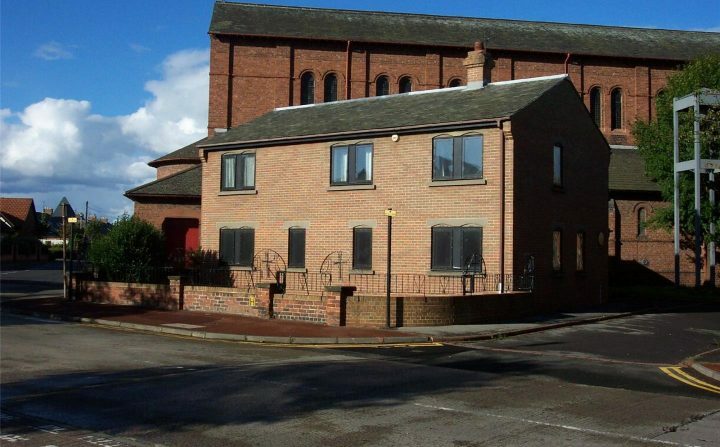 This detached house is located in the centre of Sunderland, and would be a football fans dream, located just 10 minutes’ walk from the Stadium of Light. For just £150,00 you get 150.97 m2 of space. That’s only £1000 per sq. m. of space, one of the best value properties to buy in England. Have you ever wanted to live in a different time period? 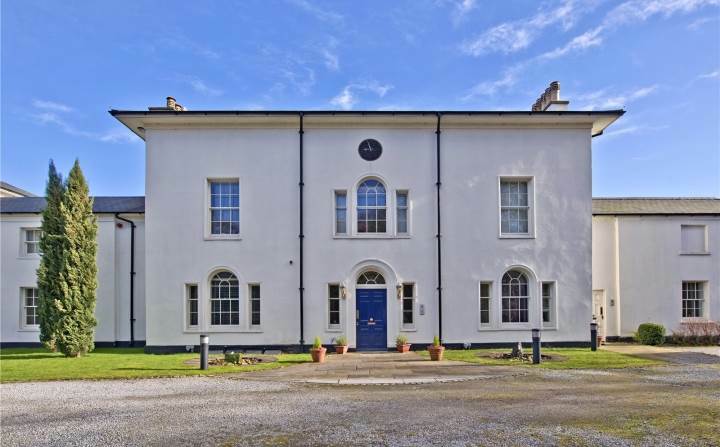 Now you can experience the Georgian lifestyle at this 18th Century town house located outside of Nottingham, in a popular village location. 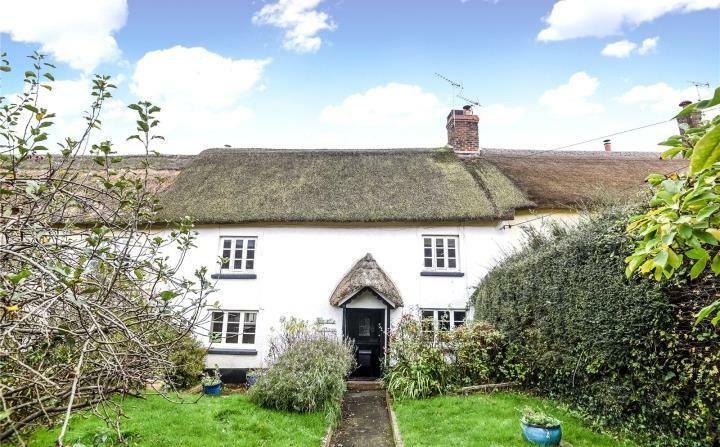 From one Grade listed property to another, this thatched cottage in Devon is great value at just £195,000, and comes complete with original fireplace and wooden beams overhead. 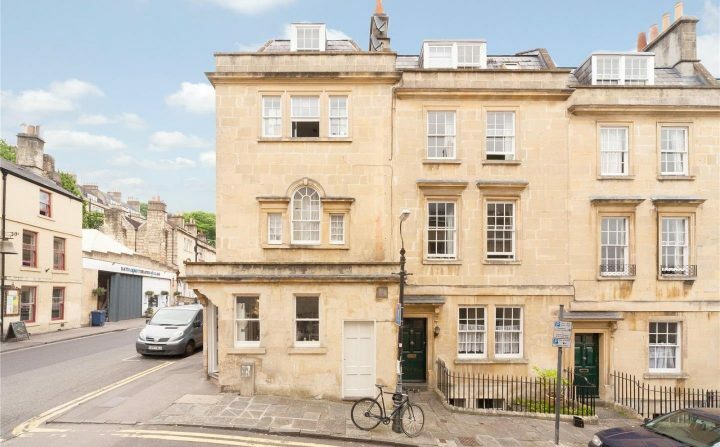 This central Bath apartment is located on Chatham Row, just a stone’s throw from The Circus and iconic Royal Crescent. Enjoy the Georgian architecture and wonderful rooftop views of the city and beyond. For a little over the budget, and those with a bit of cash to spare, you can find some pretty peculiar properties for £300,000 and under. The grounds here are impressive, with its own water reserve flowing beside the contemporary development. The one-bed apartment here is spacious with 96 m2 of space, with two reception rooms and a fully fitted kitchen. The facilities on the complex are more intriguing, with a Jacuzzi, swimming pool, tennis and squash courts as well as a full-time concierge service available to all residents. 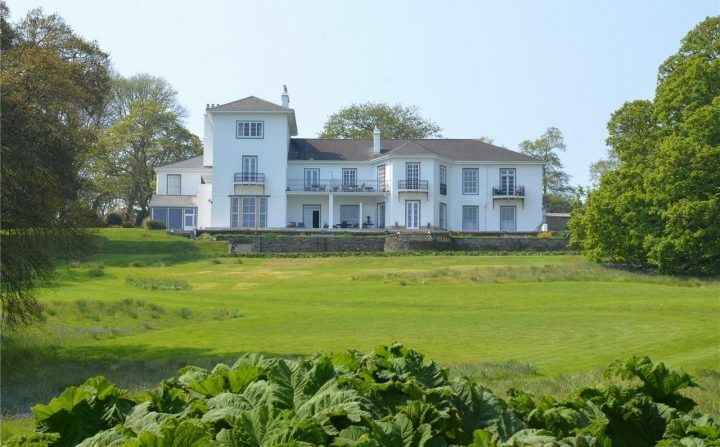 Take residence in this beautiful waterfront mansion on Cornwall’s coast for just £295,000. It would cost you a further £550,000 to own the whole property. Nevertheless, for under £300,000 you could enjoy access to 6.7 acres of parkland and woodlands aside the Fal Estuary. As well as private squash courts, waterside barbecue areas and private slipway. 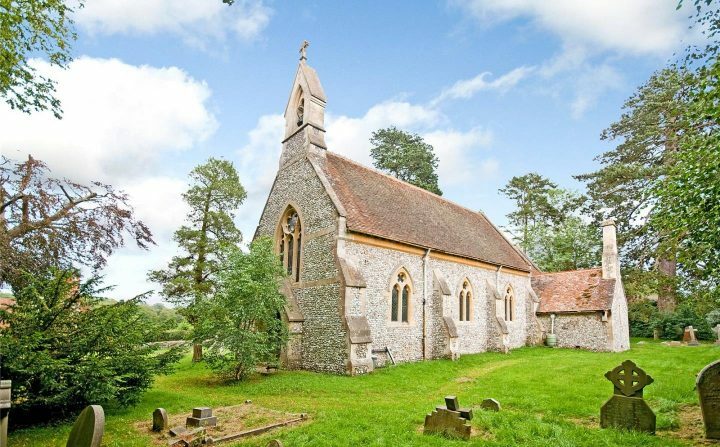 This former church is available for development subject to planning permission, set in the beautiful countryside of Henley-on-Thames. With 129 m2 of floorspace and plenty of room to build upwards there’s a lot of potential here. It just depends whether you’re brave enough to live next to a graveyard. 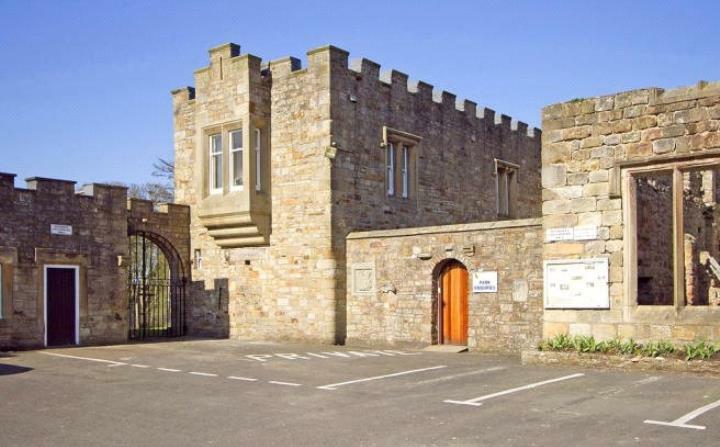 This last property is a 4-bedroom unit situated on the site of a 13th Century castle and ruins in Cumbria. Nothing gets more royal than saying you live at a castle. You technically wouldn’t own it, but it’s close enough. The property is also generously large, with over 240 m2 of space. It’s quite surprising what the average salary can buy you in Britain, with some very desirable properties on offer and on the market right now. But with average property prices at an all-time high in London, there’s not much hope for the average couple to be able to afford anything. 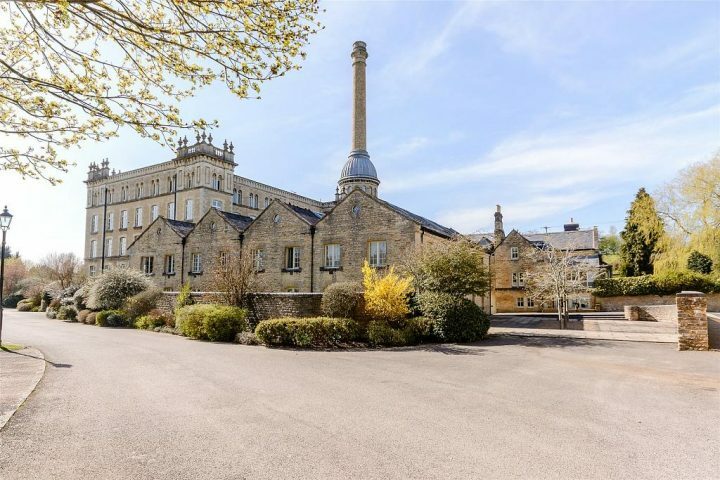 So if you think it’s time to move away from the city and into a quirky property of your own, take your pick of the above, they are all available from savills.co.uk. And regardless of what kind of home you own, we buy any house, so get in contact when you are ready to sell. You never know what you’re next property could look like.